Nikon made two significant announcements at the end of October – the first being the closure of its compact camera manufacturing plant in Wuxi City, Jiangsu, China, and the second a positive upgrade of its financial forecasts for the second half of the year. The two are somewhat related – the closure of the Chinese plant is part of a cost reduction program which has lowered costs, so that even though there’s been a slight reduction in revenue forecasts for the fiscal year ending March 31, 2018, profit before income taxes has shot up 16.7 percent. Costs associated with the closure are put at US$700 million. The good news for the photographic industry is that Nikon seems to be emerging from one of the toughest periods in its 100-year history. First there was a damaging series of product advisories and eventually product recalls relating to shutter malfunctions in some of its higher end DSLRs. Then at the end of last year, already grappling with sensor procurement problems following the Kumamoto earthquakes, Nikon management tore up its existing business plans and ‘went back to the drawing board’. It embarrassingly abandoned the much-heralded DL series of advanced compacts, and postponed its financial results presentation for three months. It eventually emerged with a loss for the year of seven billion yen. Lately things have been looking far more sunny. Not only is Nikon on track to deliver a multi-billion yen profit, but the reception for the full-frame, 46-megapixel D850 has been overwhelmingly positive. It’s not every day that a $5400 camera is in the Amazon Top 10 sellers (at # 6! ), and if you want one you will have to wait until the back-orders are cleared. Reviews have been laudatory, and DxO said the sensor was the best they had ever tested. 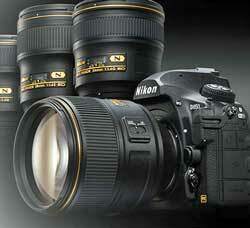 For the past two years or so, Nikon has been running rings around Canon with its full-frame DSLRs. The remarkable thing about the Nikon turnaround is that it is based on falling sales of cameras! The company forecasts sales of 4.8 million digital cameras overall in the year ending March 2018, down a hefty 24 percent. For the compact segment, sales are projected to drop 28 percent as Nikon puts its focus on higher-margin DSLR cameras. Over at Canon, profits are also up on falling sales. At the recent presentation of the third quarter results (July-Sept) it predicted a slight fall in both compact and interchangeable sales accompanied by an increase in profit for the Imaging business unit from 144 billion yen in 2016 to 172 billion yen (around $2 billion) in its 2017 calendar/financial year. The Canon presentation materials also highlight another interesting ‘factoid’ – while compact cameras will comprise 42 percent of Canon’s unit sales in 2017, they will contribute a measly 15 percent of revenue. This shows just how much interchangeable camera (and lens) sales are the main game for Canon – and the rest of the industry. But here’s the most interesting thing: Canon and Nikon are both reporting falling sales of cameras, yet CIPA (the Japanese camera manufacturers association) camera shipment figures are well up on 2016 levels. From January to September total camera shipments out of Japan are up 14 percent on the same period in 2016. Compacts are up 18 percent and interchangeables 9 percent. This indicates a major – possibly even a generational – shift in the global camera marketplace. When neither the market leader nor its key competitor are growing the market, a big change in the hierarchy is virtually inevitable. While Nikon and Canon are both well in the black, they aren’t growing, but improving profits by focussing on cost reduction. That can’t last forever. So where is the growth in camera sales coming from? Brands aside, it’s all about mirrorless camera technology. Delving deeper into the CIPA figures, we see that the mirrorless bit of the interchangeable marketplace is booming. 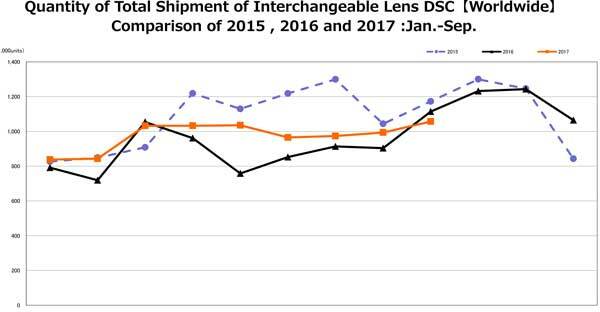 From January to September, shipments of mirrorless cameras are up 47 percent in unit terms and 69 percent in dollar terms. Production – even more of a leading indicator of where the market is heading – is in advance of this, up 53 percent in volume and 63 percent in value. 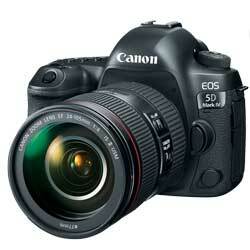 Mirrorless technology aside, Canon seems to be falling behind in imaging technology. The EOS 5D Mk IV is its highest rated camera on the DxOMark image sensor hit parade, yet it languishes in an unleaderly 16th place behind a bunch of Nikons, Sonys and the Pentax K1. It could be argued that digital SLRs are simply a transitional hybrid technology whose time is almost up. In the early years of the digital camera revolution, electronic viewfinders just weren’t capable of the high resolution and responsiveness ‘legacy’ mirror mechanisms and optical viewfinders delivered, so there was a place for them. Sony, Olympus, Fujifilm and Panasonic have shown that that time is coming to an end, and the era of the fully digital camera is upon us. All other things being equal, the cost, complexity and sheer bulk of pentaprisms give mirrorless cameras a big cost and size advantage. The figures show punters are voting with their wallets. DSLRs are performing even worse than compact cameras – while compact shipments are up 18 percent, DSLRs are down by almost 5 percent compared to Jan-September 2016 – which was smack dab in the middle of the image sensor shortage brought on by the damage to Sony’s sensor plant by the Kumamoto earthquake. So far, neither Canon nor Nikon have captured the imagination of the global camera buying public with their stuttering mirrorless camera releases, but rather dominate a sector of the market which is threatened by a kind of slow-moving obsolescence. Hence the reference to a generational shift in the market. 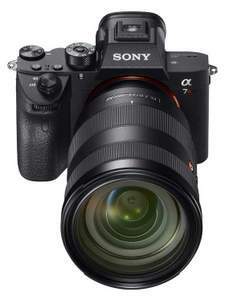 The recently-released Sony A7 R MkIII is the latest in Sony’s impressive range of market-growing mirrorless interchangeable cameras. Financial results from the other Japanese camera makers supports this hypotheses. Sony’s second quarter sales – July-September – are 21 percent up on July-September 2016, and 31 percent up on the first half of 2016. For the full year, it’s forecasting a 20 percent increase in sales (April 2017 – March 2018), and a remarkable 88 percent increase in earnings from ‘high margin’ mirrorless interchangeable cameras. This kind of change is rare in the camera market. Photographers aren’t fickle. The huge ‘installed base’ of Canon and Nikon-mount lenses mitigates against photographers switching. But even if Nikon and Canon announce new mirrorless technology which matches or betters cameras already released by Sony, Fujifilm, etc, unless those new cameras can be used with the millions of Nikkor and Canon lenses out there, the Big Two will still be under the pump, having let their competitors steal a march on them. Canon and Nikon have ruled the roost for decades. It will be interesting to check out the league table in, say, two years time. This entry was posted in Deck right, Opinion by Keith Shipton. Bookmark the permalink. Mirrorless has two things going for it: young photographers and old photographers. Young photographers are accustomed to relating to the world via an electronic image, and are less tied to the optical viewfinder. And ageing photographers are losing their eyesight – with an electronic viewfinder you can check your image without taking your eye from the viewfinder and rummaging for your glasses. There’s something a bit humiliating for the old guard in having to show the back of your DSLR to a young bystander and asking, “Is that sharp?”.